Our event space easily accommodates small intimate gatherings to large-scale events. We work with each client to transform the space to reflect what best suits their needs. 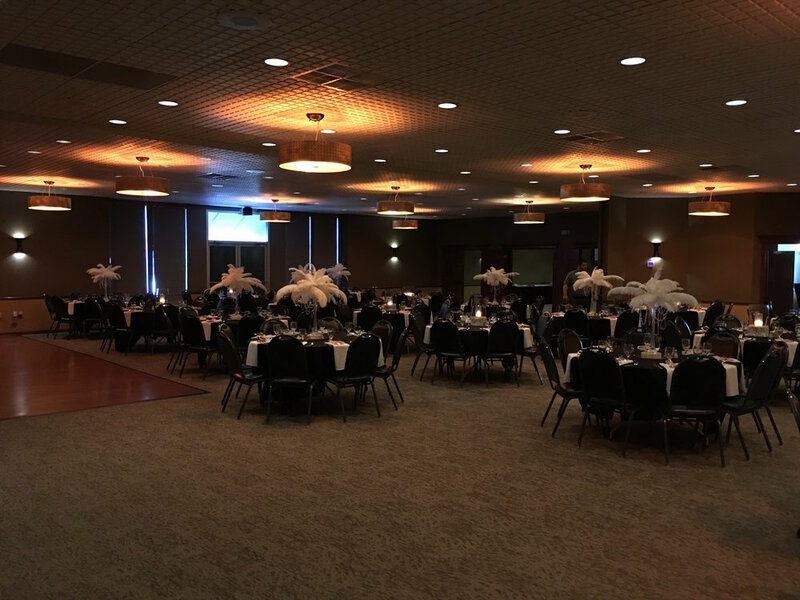 Our Event Facility is comprised of 3 different rooms: The Tiger Room, The Boone Room, and The Columbia Room. 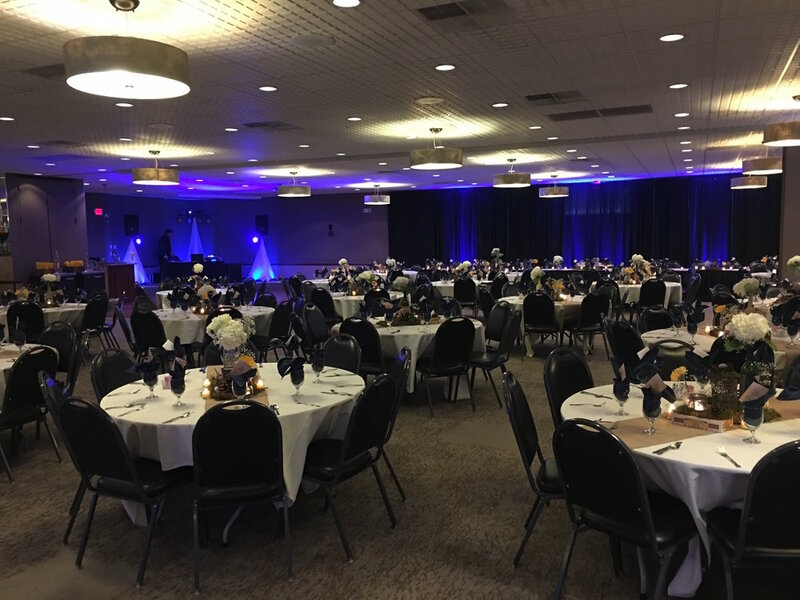 With these 3 rooms, we offer 6 different layouts for a wide range of events. Check out a few pictures of our Event Space below, and then we'll talk pricing. First things first. There is a Flat Rate Room Charge of $800 when reserving any of our Event Spaces. Flat Rate meaning that even if you reserve all 3 Rooms, the Room Charge is still Only $800. This covers your Linens, China, Glassware, Flatware, Audio/Visual Equipment, Accent Lighting, and about 22 other miscellaneous features that make our space perfect for every occasion. Next, come the Food and Beverage Minimums. This is a Minimum Expense that MUST be guaranteed in order to reserve any/all of our Event Spaces. It's purpose, is to ensure that each Event Space appropriately fits your needs. Since every day brings a new and different event, we keep our Food and Beverage Minimums fluid. Give us a call to discuss your event and see what your Food and Beverage Minimum will be. Remember, we can meet ANY budget. Here's the deal.. When we started this business 23 years ago, we decided we would NEVER take advantage of our clients by charging them for every cord, microphone, and salt shaker. When we charge our clients the Room Charge, that means they get everything they need for that room to completely suit their needs. This is why we work individually with each client to ensure every one of their needs are met. We've built a business on Clients, not Fees.